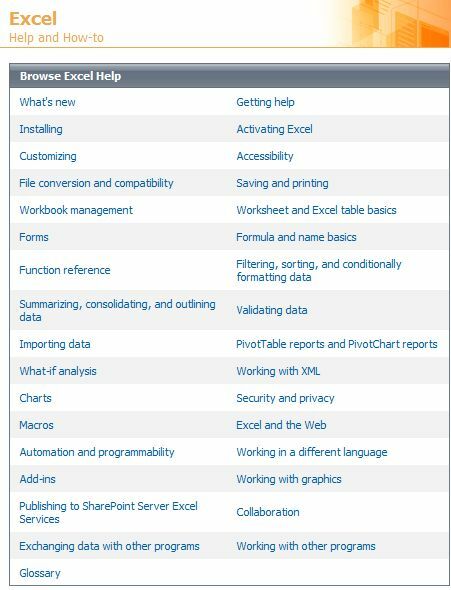 Even though Excel is user friendly, there might be some situations in which help would be needed to perform certain functions. We can access Excel Help through an icon in the form of a question mark. It is located in the toolbar; usually in the right hand corner. Once we click on the Help button, a control box will appear. Here, we can find detailed information whenever we need a helping hand from this useful tool. A new control box will open. It will show everything you need to review under categories. 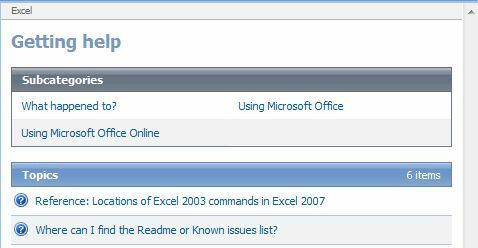 It will also present other important topics; such as the Reference guide to Excel 2003-2007 commands.